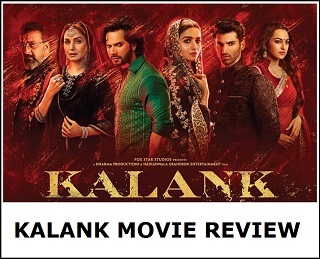 List of Kalank Movie Review from various popular critics and newspapers. Kindly bookmark this page to check all the reviews which will be updated accordingly. An epic love saga based during the 1940s has so much scope for visual detailing and finesse. While Kalank scales up the production in every aspect, at times, the world that it recreates looks a little too plush and away from reality. #kalank is a brilliant film. Music is superb. Director at his best. Alia, Varun, Madhuri and Aditya have done brilliant work. 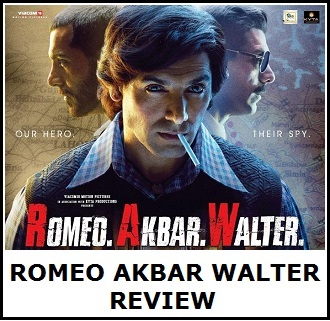 This film is having everything music, romance, entertainment, action and emotions for the audience. Therefore 3* from me. Set in the pre-independence era, Kalank opens door to opulent sets burdened by grandeur, immaculately-dressed women and overwhelming visuals. It will remind you of the Sanjay Leela Bhansali movies that you have seen in past but sadly it is a byproduct of Karan Johar taking a stab at helming a larger-than-life film. Some scenes are beautifully picturised, including the climax (that is melodramatic on a whole different level). Roop’s room in Dev’s palace, Zafar’s bare-bodied fight against a bull and the close-up shots of everyone during the interval point – these are some images that stand out for me. Kalank is an ode to dysfunctional love. Set against the complex socio-political environment of pre-Independence India, the movie – through the eyes of its headstrong protagonist Roop (Alia Bhatt) – also attempts to capture the era’s complex social and political undercurrents, contrasting them with relationships that were far ahead of their times. How do you look at illicit relationships? Do you look at an extramarital affair as a taint - kalank, if you will - or just pure simple love? Kalank delves into these questions and does this in the shallowest possible manner. Kalank is painful. Not in a good, cinematic, cathartic type of way. It is just physically painful to get through the near-three-hour film and reach the end without wanting to walk out of the theatre. The only redemption in this mind-numbingly boring tale of star-cross'd love is the performance by the lead actors. Kalank is beautiful to look at and boasts of an incredible cast with some good performances. And yet this love saga, which had the potential to be great, is tainted with a cluttered, over-stretched screenplay and a melodramatic treatment. Kalank might work for die-hard shippers for Alia Bhatt-Varun Dhawan pairing! 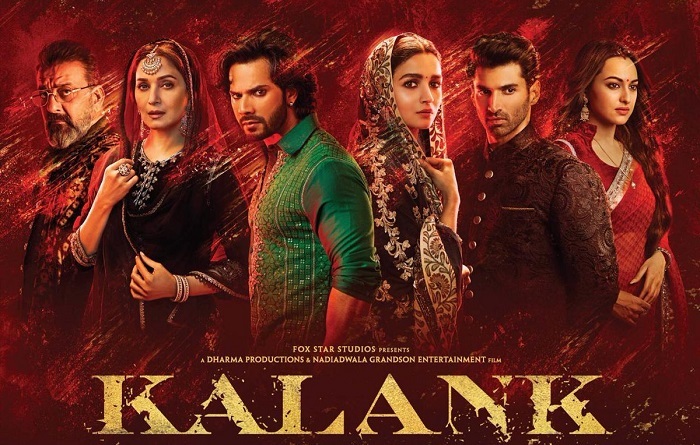 From verbose lines to obscene opulence, Kalank is too theatrical and stage-y to feel current, which is where the old-world setup works… until it doesn’t. More attention is paid to the chikan embroidery on the husband’s kurtas than to the climactic revolution, and the third act exposes the story’s hollowness while the film flits inconsequentially between timelines. The end asks the audience a question, but it means little. By no means is Kalank an unbearable film, despite being nearly 2 hours 48 minutes long. But there is a constant tryst to divert our attention from its storyline; Varman distracts us with his suggestive background scores, special numbers and sometimes even the perfectly created Manish Malhotra costumes. It's also equally problematic that a film set in pre-Partition doesn't stir up much political conversations throughout the narrative. There are stray mentions of their noble intentions but it remains largely detached from the divisive politics of the time it is set in. If you are a hopeless romantic, you will devour ‘Kalank’, a gloriously messy romantic quadrangle filled with supremely gorgeous players. But if you are a cynic, you are likely to chew your own hands off from sheer boredom and collective stupidity on display by a bunch of hapless lovers who love to sermonise on complexities of love, forbidden bonds, respect and obligations. On the whole, Kalank will be liked by women and classes but not by the menfolk and masses. The youth will mostly reject the drama. Considering the huge cast and cost, it will do just about ordinary business at the box-office, thanks in no small measure to lack of Hindi film opposition for the next two weeks. 2.73 for this movie. This shows how these critics are biased towards big banners. I've seen the movie and believe me, every minute went like an hour. Watch it yourself, I bet you will think of running out of the movie within first 30 mins (on a higher side).